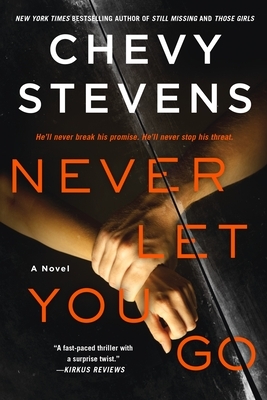 Never Let You Go: A Novel (Paperback) | Fountain Bookstore, Inc.
A stunning and thrilling novel from the New York Times bestselling author of Still Missing. Chevy Stevens is the author of Still Missing and Never Knowing. Before becoming a writer, she worked as a realtor. When she held open houses, she had a lot of time waiting by herself between potential buyers, and Stevens would spend this time scaring herself with all the things that could happen to her. The most terrifying scenario she thought up became the story behind Still Missing. Stevens grew up on a ranch on Vancouver Island, and she still calls the island home. When she’s not writing, she’s hiking with her husband and her dog in the local mountains.